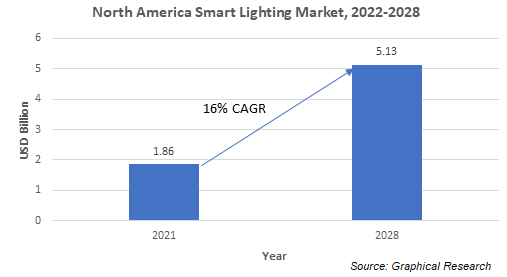 North America Smart Lighting Market Share was over USD 1.5 billion in 2017 and is expected to register a robust growth between 2018 and 2024 with a CAGR of around 20%. This impressive growth is attributed to the growing adoption of IoT for modern applications such as smart cities and the U.S. government initiatives for the development of Solid-state Lighting (SSL) including both Organic Light Emitting Diode (OLED) and Light Emitting Diode (LED) technologies. Initiatives such as The U.S. Department of Energy’s Energy Efficiency and Conservation Block Grant (EECBG) program that encourages the installation of high-efficiency street-lighting technologies are expected to majorly contribute to the growth of the North America smart lighting market over the forecast timeline. The Chicago Smart Lighting Program is one of the largest street lighting modernization programs in the U.S. that has been undertaken to provide more reliable and better-quality outdoor lighting for Chicago. The program to replace 270,000 city lights with intelligent controls and LEDs over the next four years could eventually save the city nearly USD 10 million every year in energy expenses. Such initiatives are driving the growing adoption of smart lighting solutions. The product market is expected to hold a majority market share of around 80% by 2024 due to an extensive deployment of smart lighting solutions in commercial and residential environments to benefit from the energy efficiency and cost-savings realized from the smart lighting installations. The luminaires segment in the product market is expected to exhibit the fastest growth over the forecast period with a CAGR of around 20%. The increasing demand for smart bulbs and fixtures due to the incentives offered by the Federal Government in the U.S. for residential and commercial entities to use energy-efficient lighting solutions are expected to drive the increasing adoption of smart bulbs and fixtures in the region during the forecast period. The companies operating in the North America smart lighting market focus on strategic acquisitions for enhancing their smart lighting technological capabilities. For instance, in May 2018, Acuity Brands, one of the leading lighting solutions manufacturing company in the region, announced the acquisition of IOTA Engineering, L.L.C., an Arizona-based emergency lighting products manufacturer. The acquisition was aimed at enhancing Acuity’s product offerings for institutional and commercial applications in the U.S. and in the international market. Such strategic acquisitions are contributing majorly to the growth of the North America smart lighting market. 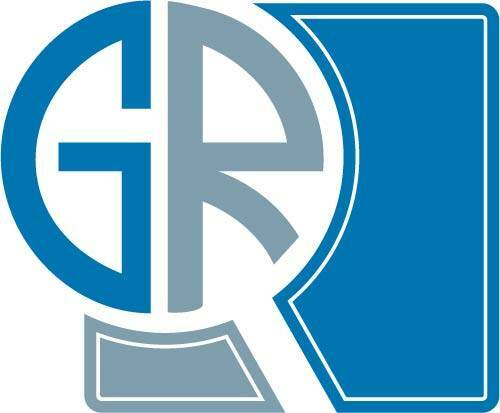 Some of the key vendors in the North America smart lighting market are Acuity Brands, Digital Lumens, Bridgelux, Cree, Cooper Industries (Eaton), Honeywell, Echelon, GE Lighting, OSRAM, Hubbell, Philips Lighting, Legrand, Tvilight, and Silver Spring Networks.